The Board of Control for Cricket in India or BCCI, have announced that they will not be involving more than 2 Indian commentators for the IPL Playoffs apart from Sunil Gavaskar and Sanjay Manjrekar. Well, did they miss out on any of your favourite commentator? Many people have been really upset about this decision because a lot of talented and loved commentators have not been included which includes the world famous Harsha Bhogle. BCCI have also included 5 foreign commentators to the list. Such an irony right? When the Indian Premier League has more foreign commentators than Indians. Everyone is surprised by this decision. 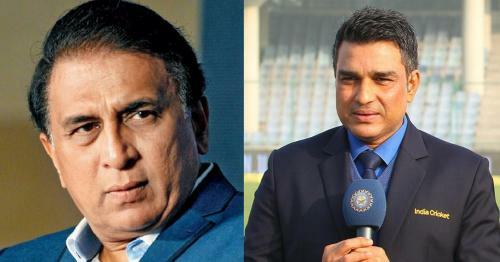 Sources have confirmed that only Sunil Gavaskar and Sanjay Manjrekar have been given the opportunity to take over the commentary department. The other famous Indian commentators like Murali Kartik, L.Sivaramakrishnan, Rohan Gavaskar, Anjum Chopra and most importantly India’s most famous commentator Harsha Bhogle has also been excluded from their services. On the other hand the five foreign persons who have been chosen are- Michael Clarke, Michael Slater, Matthew Hayden (all Australians), Graeme Smith (South Africa) and Simon Doull (New Zealand). Familiar names aren't they? Yes! They have all been former cricketers for their respective national teams. On asked about why the Board has taken such a decision, BCCI stated that not many commentators from India do have the right quality and excellent value to their service when compared to the foreign counterparts. But not everyone is out of quality and therefore the two i.e. Gavaskar and Manjrekar have been selected for the proceedings. Interestingly, it has happened for the first time ever that only two Indians have been chosen for the IPL Playoffs commentary team. Hearing other commentators apart from Gavaskar and Manjrekar? Then it is because Star India’s effort to engage other commentators for regional languages. Thus, in such a case you may be able to hear your favourite commentator taking over the proceedings of the IPL playoffs. The BCCI have been criticized by many famous personalities and the Indian people themselves, who are of the view that an Indian sporting event of this size should have more Indian commentators than only two. In comparison, the commentary team for the Indian tour of England 2018, consists of 5 Indian commentators taking over the proceedings from London. The team includes Gavaskar, Manjrekar, Bhogle, Kartik and Vivek Razdan (Hindi). So that is a sigh of relief for the Indian fans because otherwise they would have been really upset to not listen to the commentary by their favourite commentators during a cricket tour of this scale. Isn't it?